Kumar Sripadam is a technology entrepreneur, business consultant, investor and mentor. He transacts his business operations through Kedge LLC. He has 30 years of experience in the high technology sector. He has held several senior and executive positions at Righttag( Inova), Bluewave Networks (acquired by Celestix) etc. 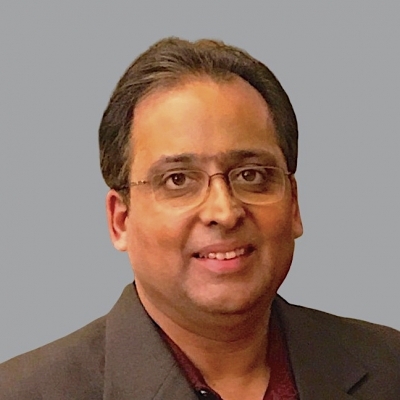 Kumar was a member of the founding team at Redback Networks, a successful Networking company where he made key contributions to Systems and Hardware. His areas of interest are Enterprise and Application software, ECommerce, Infrastructure, AI/ML, Big Data, IOT, FinTech and Consumer products. Kumar Sripadam is an advisor at Moesif, Inc. and at Frontdesk.ai. He served on the board of Metacert and Incentive Logic Inc. He is also involved with many early to mid-stage companies such as Moesif, FrontDesk.ai, Palmstar Media Capital, Outdu, Appensure. Some his key investments currently are Pipedrive, PeriscopeData, Iterable, Pubnub, Wanderu, Paystand, Openbucks, MobileForceSoftware, Crowded, Skulpt, Bioz, YouPlus, Goombal, SyncOnset, Rigado, Crater, Lomics, Spanugo, Back4App, Whistler.io, Bitesize.io etc. He is an active investor and an LP at The Hive, The Fabric, Angel Round Capital Fund (ArcAngels), Streamlined Ventures, AngelPad, BluePointe Ventures, MontaVista Capital etc. His other investments include IFLY Silicon Valley, IFLY Hollywood, Palmstar Media Capital, SBPacificGroup etc. His most recent exits are Zoom, Docusign, Metacert, Cloudera, Intellivision. He also transacts business overseas through Inforel Technologies. He is a Charter Member and current Board member of TIE-SV. He is the Chair of TiE Angels Silicon Valley. He is also an Executive Committee Member of ArcAngel Fund, a leading NY angel forum. He is a member/advisor of Silicom Ventures. He is also a mentor and an advisor at many Silicon Valley accelarators and incubators. He holds an MSEE from Southern Illinois University. He is a member of the honor society of Phi Kappa Phi.